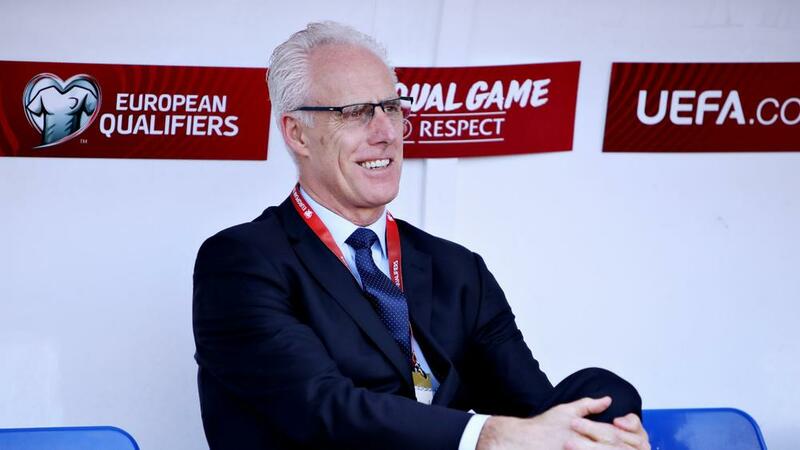 The 60-year-old – who first managed his country between 1996 and 2002 – took over from Martin O'Neill in November, but any thoughts that he would usher in a new era with a swashbuckling win were soon dispelled. Ireland were frustrated in the opening stages and had to wait until just before the half-hour mark for their first sight of goal. A superb reaction save from Kyle Goldwin, however, prevented Roy Chipolina's wayward header from finding the back of his own net. Chipolina was involved again shortly before the interval, blocking David McGoldrick's goal-bound flick, while Conor Hourihane's free-kick from the left fizzed past Goldwin's post in the first half's closing stages. That sparked Ireland into life and they forged ahead in the 49th minute. McGoldrick sped away from Jack Sergeant down the left and picked out Hendrick, who coolly slotted into Goldwin's bottom-left corner from 15 yards. Shane Duffy headed wide from an inswinging free-kick in the closing stages as Ireland ultimately edged to the most slender of wins thanks to Hendrick's solitary moment of quality. The new Ireland boss will have been well aware of their woes in front of goal before this game, but failure to comfortably beat a team made up largely of part-time players will have starkly demonstrated the scale of the task he faces. O'Neill's last four games in charge failed to produce a single goal and after such an insipid display against Gibraltar it is not hard to see why. What McCarthy would give to have a striker as prolific as his assistant, Robbie Keane, to call on. Making his first competitive start for Ireland, Preston North End striker Sean Maguire failed to stake his claim for a regular place up front. He rarely threatened the hosts' backline and was eventually replaced by Harry Arter.